Imagine yourself mounted high above the long grass watching great herds of elephant, buffalo, wildebeest and antelope as they move across the plains, or cantering alongside a journey of giraffes – this is an experience not to be forgotten. We arrange half-day and full-day horse safaris in Kenya and multi-day luxury mobile horse safaris in Kenya and Botswana. All the horses are fit to handle many situations depending on the terrain, the wildlife and all experience levels of riders. A typical day on one of our multi-day horse safaris consists of about four to seven hours in the saddle, covering a distance between 15 – 30 miles depending on terrain and animal sightings. We also offer riders the chance to enjoy game drives, bush walks and night game drives during their mobile safaris as well as extensions at luxury lodges before or after their riding safaris. For beginner and novice riders, half and full-day horseback rides are on offer in Cape Town, the Cape Winelands, Hermanus and the Garden Route in South Africa. 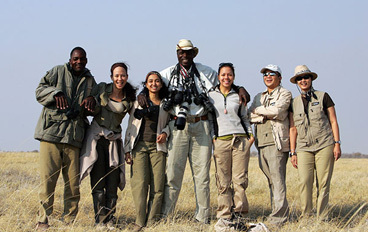 KENYA: With traversing access to over 1.4 million acres in southeast Kenya, Ride Kenya Mobile Horse Safaris cover an awe-inspiring range of ecosystems – from the dry lakebeds of Amboseli in the east to the majestic Chyulu Hills in the west – quintessential East Africa with views of Mount Kilimanjaro in the distance. KENYA: Let your horse take you on a journey of freedom and adventure in the greater Maasai Mara, with only the sound of his hooves, as you explore the exclusive unfenced wilderness areas of the Olare Motorogi, Mara North and Naboisho private conservancies bordering the Maasai Mara Game Reserve. 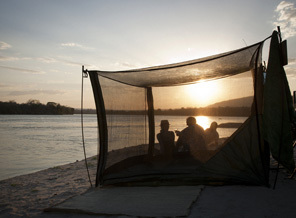 BOTSWANA: Okavango Horse Safaris caters to adventurous travellers looking to ride in some of the world’s last untouched and pristine wildernesses areas in the Okavango Delta. BOTSWANA: Ride Botswana runs horseback safaris in the Makgadikgadi Pans, the Okavango Delta and the Kalahari Desert. 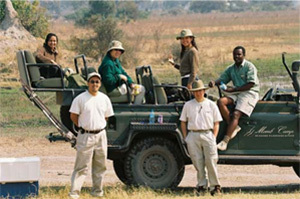 Every safari we arrange is unique and customised to suit each client’s interests and budgets. Contact our consultant to plan a custom travel itinerary for you.